NEW YORK – April 30, 2014 – Building upon its recent transmedia successes,Syfy Digital today announced significant new digital, social and second screen storytelling initiatives including a game-to-TV Avatar joining the cast of the hit seriesDefiance; Syfy Now debuting on Android phones and tablets this summer, an interactive handbook to the eagerly anticipated new drama Dominion, and a new web experience for Syfy Sync forSharknado 2 and Defiance. Syfy also announced its first original digital comedy series Underlings, a workplace comedy that brings viewers inside a criminal organization. The cast includes Joseph Gatt (Game of Thrones’ wildling leader Styr, Magnar of Thenn) and Jessica Chobot (Attack of the Show). Season 2, premiering June 19, will feature a new character based on an actual player's in-game avatar. The winner of the "Play the Game, Join the Show Contest" was revealed on Facebook in a video by the show's executive producer, Kevin Murphy, in September. The live-action character based on the winner's avatar will be joining the show's cast this summer. Defiance is unveiling a new way for fans to interact with the show online and via social in Season 2. Starting with premiere, every week, viewers will be invited to participate in a parallel storyline where they'll be encouraged to take on "missions" consisting of web-based casual games and challenges that will propel this storyline and give viewers a chance to win substantial real-world prizes. Created by the series' writers, Citizen's Handbook – A Guide to Vega will provide an immersive, interactive guide/handbook to the fictional city of Vega, featuring exclusive video and multimedia content created specifically for this experience. It will allow viewers to delve into the rich mythology of Dominion weeks before the series premieres on-screen on Syfy June 19. Earlier in the year, Syfy enjoyed great success with the Opposite Worlds Twitter Popularity Index, which created a new means of interacting with a competition reality show via social media. Kalev H. Leetaru utilized his patented research methods technology to measure the “social sentiment” around the contestants on the show, producing the weekly rankings from “most popular” to “least popular.” Syfy will now use the next generation of that innovative technology and apply it to Season 7 of its highest-rated unscripted series Face Off, giving viewers the ability to directly affect the outcome of the show by cheering for, or talking smack about, players on the show via Twitter in natural-language tweets. This new 10-episode live action original digital series, produced by Universal Cable Productions and More Media, is a workplace comedy that takes viewers inside the criminal organization, G.O.R.I.L.LA. (Global Oppression, Rebellion, Intelligence, Larceny, and LAsers), and introduces them to the three guys who make sure the printer is stocked with toner, organize the office karaoke night and keep the death rays deadly. Syfy’s first original digital comedy stars Jonathan Howard, Chris Mena and Tony Vitale with Jessica Chobot (Nerdist News), Michael Naughton (Kirby Buckets, It’s Always Sunny in Philadelphia), James Adomian (Comedy Bang Bang, @midnight) and Joseph Gatt (Game of Thrones, Banshee). Beginning this summer, Syfy Now appswill be available on Android phones and tablets, joining Syfy.com (web), iOS and Win8. Syfy Now will also add the ability to watch episodes in-browser with Syfy Synccontent appearing alongside, extending Sync to yet another platform. 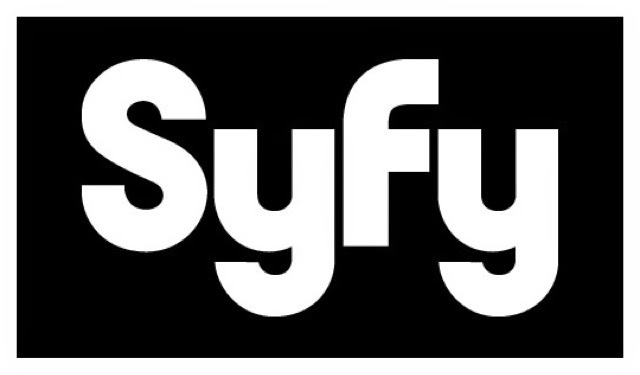 · Syfy Sync – Launched in Aug 2012 on tablets with over 200k installs to date, the Syfy Sync app expanded to smartphones in March. Currently over 100 episodes fromSyfy shows such as Face Off,Defiance and Jim Henson's Creature Shop Challenge are now sync-enabled - all featuring rich content that viewers can only get in this synchronized experience. Syfy Sync is adding a new experience for desktop and mobile web browsers this summer, starting withDefiance Season 2 and Sharknado 2.